It looks like Xzibit and the whole Pimp My Ride crew went crazy on the UK neighbourhood featured in a new 60-second commercial ad promoting the new Skoda Octavia vRS. The neighbourhood featured pimped-up versions of everyday things such as an ice cream truck, lawnmower, baby carriage and a child’s tricycle. 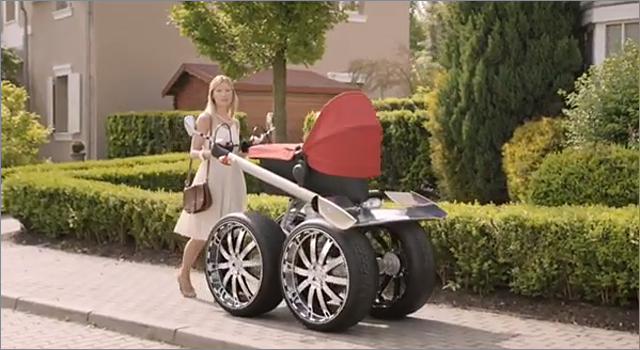 In fact, the most ordinary item in the entire commercial may just be the featured car itself. The ad was created by Fallon, and directed by Keith Schofield for Caviar.